Around 85 colleges that were affiliated to Gujarat University (GU), but were in the jurisdiction of the newly formed Central Gujarat University (CGU), will be de-affiliated by GU and transferred to CGU. While the first year students will be enrolled with the CGU, the already studying second and third year students will remain as GU students. Headquartered in Godhra, CGU will cover Panchmahals, Mahisagar, Dahod and Vadodara rural. With the de-affiliation of 85 colleges and formation of Gujarat Law Society University, the number of colleges has been reduced by 100. 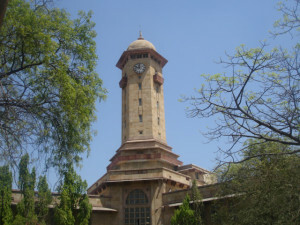 GU earlier had 350-odd colleges affiliated with it. Earlier, the VC had proposed that all the colleges which were affiliated from other areas should be transferred to the respective university of their areas. Colleges of Ahmedabad and Gandhinagar should be affiliated with GU. Officials from GU said that in the past one year de-affiliation of 100-odd colleges has been after a very long period. In the past, only 10-15 colleges were de-affiliated. Meanwhile, the world’s first kidney transplant university in Ahmedabad, built by Institute of Kidney Diseases and Research Centre (IKDRC) at the cost of Rs 50 crore, was inaugurated by chief minister Anandiben Patel. The university, expected to come up on more than 25-acre land near IKDRC, will offer courses in dialysis technology, anesthesia, clinical nursing, nurse technicians, immunology, biochemistry and other vital organs that are affected due to chronic kidney disease. The varsity will prepare documentary-based science evidence on transplants and new-age techniques.